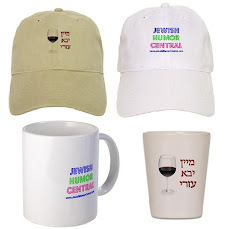 Jewish Humor Central: Just Published - "Jewish Traces in Unexpected Places." Get the e-Book Edition Free Now Through Sunday! 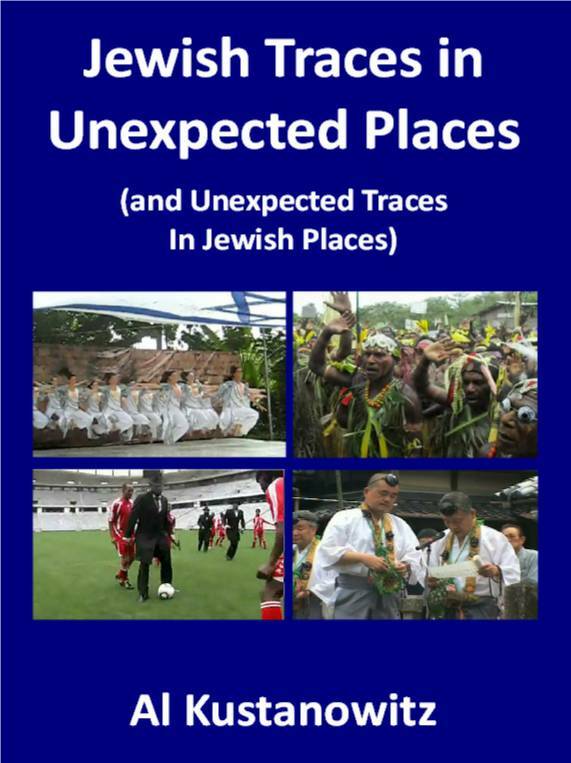 Just Published - "Jewish Traces in Unexpected Places." Get the e-Book Edition Free Now Through Sunday! 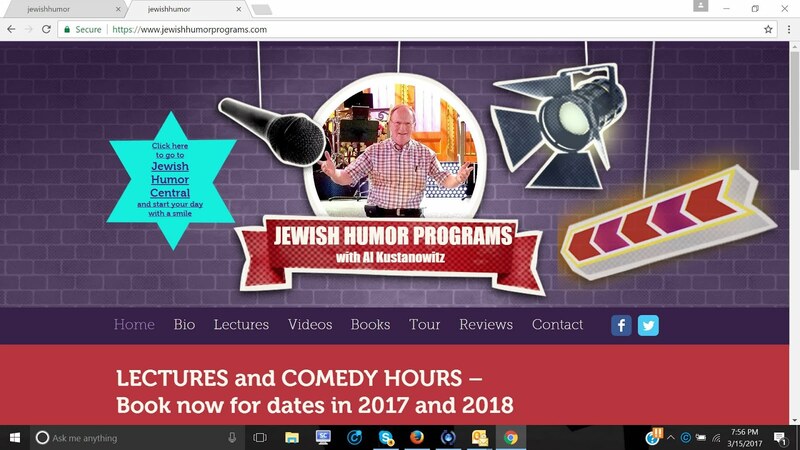 Among the more than 1,800 video clips that we've shared with you on Jewish Humor Central, there are about 150 video examples of Jewish life and music that appear in places you wouldn't expect them to. 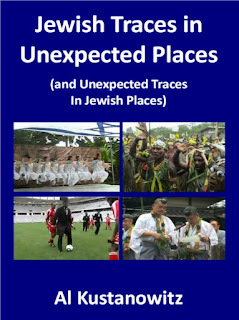 This week we published the collection in a new book, Jewish Traces in Unexpected Places (and Unexpected Traces in Jewish Places). It's available now from Amazon.com in paperback and in a Kindle (e-book) version that you can read on any device with free Kindle reader software from Amazon. The paperback version sells for $9.95, and when you buy it, Amazon will offer you a free Kindle download. So when you receive the paperback version you can give it as a gift and keep the Kindle version for yourself. For the next 5 days (Wednesday, January 20 through Sunday, January 24) you can get the Kindle version free of charge directly from Amazon.com by clicking here. 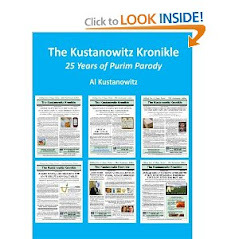 The book presents anecdotes and associated video clips that reveal the myriad ways that Jewish culture, religion, humor, music, song, and dance have found expression in parts of the world that, at first glance, might not seem supportive of Jewish Life. It includes 50 videos of Hava Nagila being performed from Texas to Thailand, from India to Iran, and from Buenos Aires to British Columbia. Also highlighted are 34 international versions of Hevenu Shalom Aleichem, Adon Olam, Abanibi, and Tumbalalaika. Whether you’re reading the print version and typing in the video URLs or reading the e-book version and clicking on the links, you’ll have access to 150 video clips totaling more than 10 hours of video. 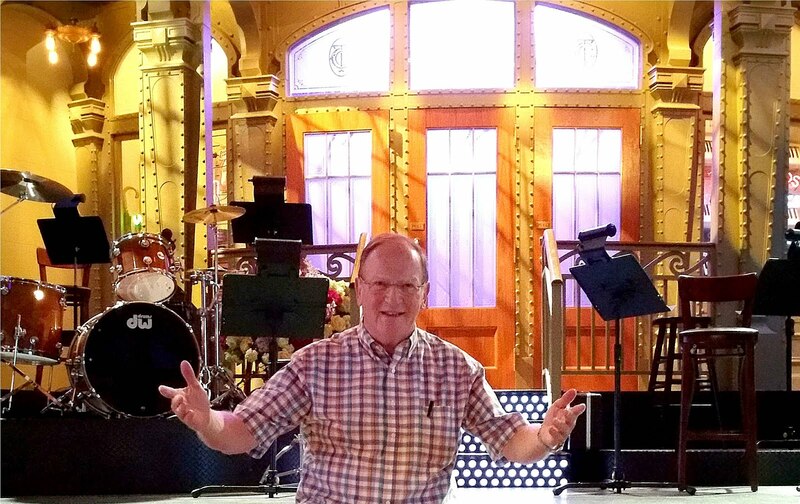 Jewish Traces in Unexpected Places is also the title of a popular lecture that Al will be presenting in South Florida in February and in the Berkshires in July. 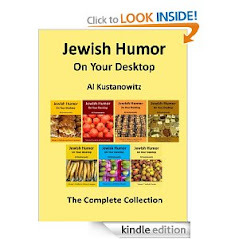 If you're interested in information about Al's lectures and Jewish humor programs for your organization, you can reach him at akustan@gmail.com. Here are the videos shown on the cover. There are 146 more videos that you can link to in the book. Are the Japanese the Ten Lost Tribes of Israel?